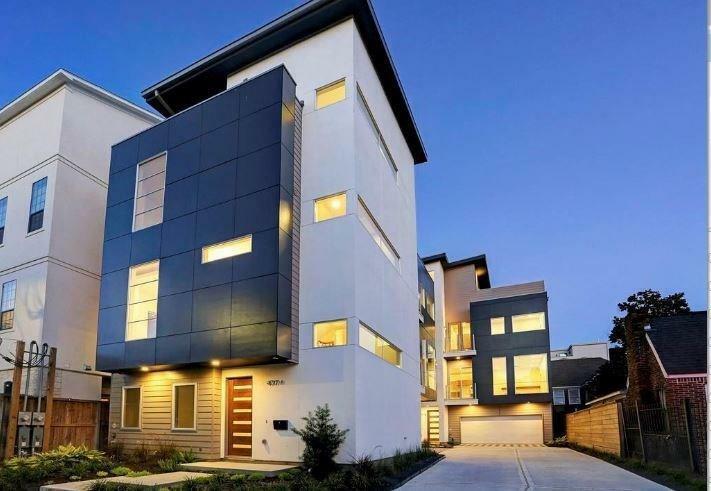 Located in the heart of the museum district and next to the medical center, this modern high performance home has been barely lived in and completely ready for new buyer! 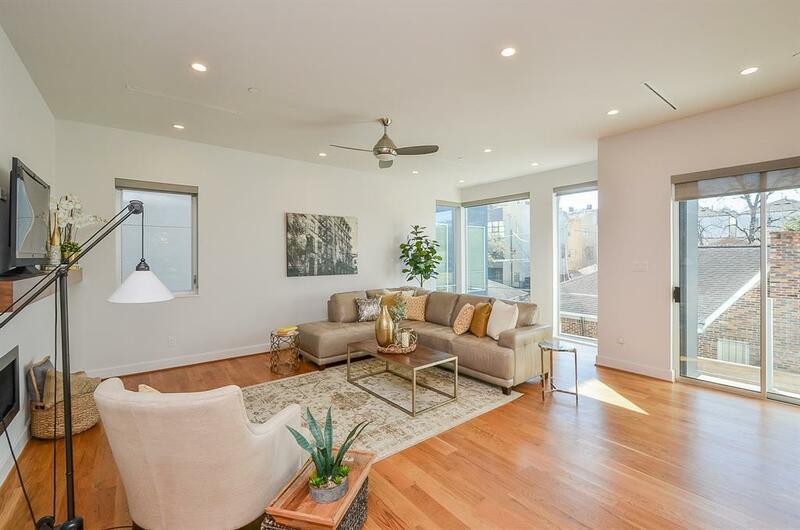 With striking curb appeal, this 4-story with rooftop terrace will call you home to view gorgeous sunsets over the city. Three bedrooms w/ensuite baths, with bonus room on 4th level that can be used as office, exercise, media or game room. 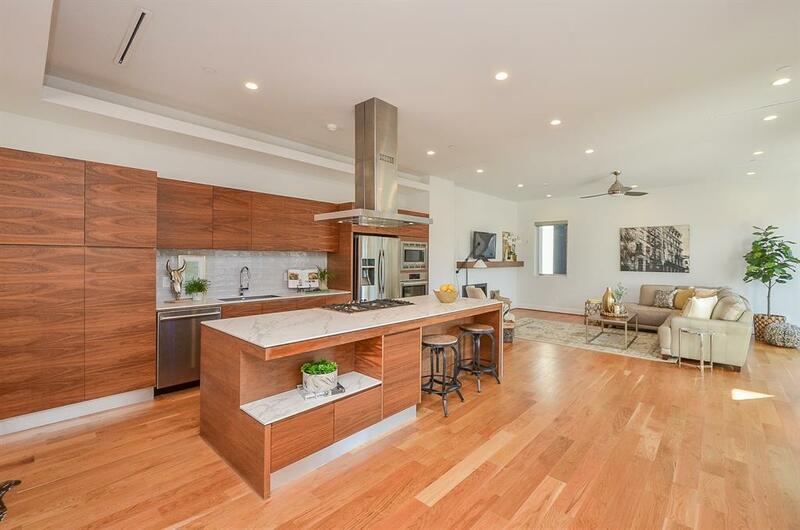 Gourmet kitchen has stainless steel Bosch appliances and Neolith counters and island. Wi-fi touch screen on-demand thermostats, impact resistant roofing, LED lighting and elevator ready. Built-in bar on kitchen level and balconies on two levels. Walnut front door & cabinetry and lots of storage room. Tons of recessed lighting and high windows make this light and bright. NO carpet. 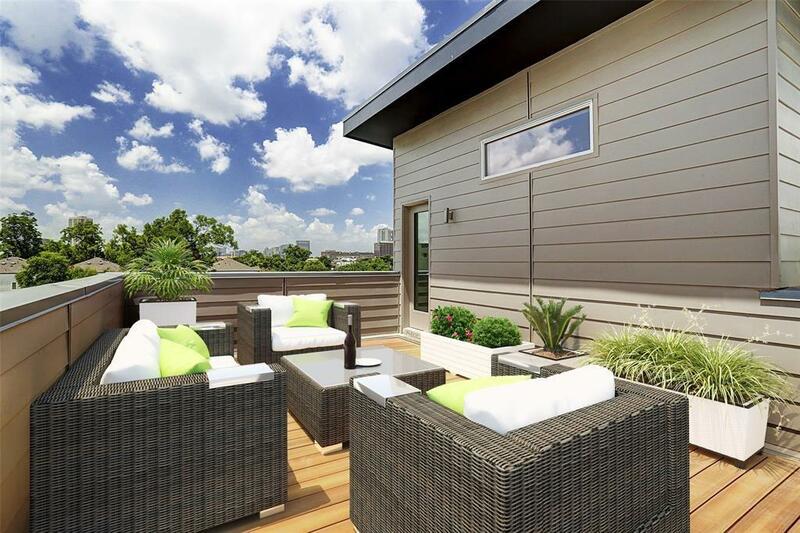 This architecturally designed home is within walking distance to Hermann Park & elementary school in Houston's next Innovation & Tech district. Don't miss this beauty that is priced below appraisal!